I've got shoes on my mind 24/7. Yes, I even dream of shoes, and it happens all the time. More often than not, in my dreams, I am buying shoes at Barneys. Weeks later, I am still plotting on how I can get my hands on Miu Miu's Jewel Scrunch Flat from S/S 2010 (Yoohoo Universe! I'm a size 36!). When I have more than a couple of minutes to spare, I line up all my shoes in my head, like I'm styling them for a photo. When I count money, I count them in shoes ($500? That's not even enough for a Louboutin! Php10,000 a month, hmmm, that's 3 months at least before I can get something decent from Barneys, unless I wait for the sale...). And instead of a piggy bank, I have a shoe fund. It's kinda sick isn't it? LOL. You're not alone. I do the same thing. Holt Renfrew - Vancouver has them ON SALE. Saw them 2 days ago. Did you get my email saying it wasn't on sale. WELL IT IS NOW!!! Go ask your kamag anak in Vancouver to get it for you. LOL. Sorry I'm an enabler. ehrm... wrong audience girl... not gonna get sympathy from me. we're on the same boat. or maybe mine are bags... hahaha! Sounds like me. As an enabler, did you know that Endless.com has 35% cashback from Bing right now? hahaha. 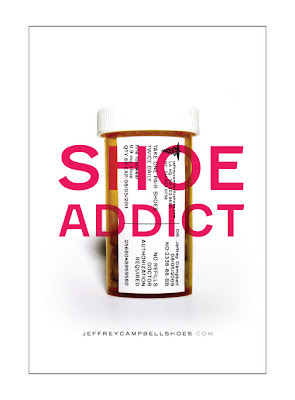 i think a lot of us girls are shoe addicts. i am a huge one myself. i'm always looking at photos online for pretty shoes. Thanks Kaye! Gosh! I might just call Holt Renfrew! Keeping fingers crossed! Hahaha! Lucky you Cons, your mom shares the same passion! You're so funny Belle! But I know what you mean, hahaha! OMG! I didn't know that A Loopy Life! Thanks for the tip! Although I really shouldn't be buying any more shoes! Hahaha! I do that too Lloyda! I can spend hours online just loking at shoes...sigh! We are sick. That's what I say! Haha. And the only thing that can make us better is to accept the weakness, subject to healing (aka, buy THE shoe), and commit to rehabilitation (aka, work really hard to buy MORE shoes). Hahaha. Nevertheless, I am happy that I am not alone! The quest for the next black pair of shoes, or the best sandals, or the most enviable heels is still on... And I have done all the trading in my head, like -- this pair vs 3 months of cellphone bill? Or 3 pairs will buy me 1 Canon Digital SLR na. This is killing me! Hahaha! Sounds like the best way to deal with this sickness Shirin! Tsk tsk, I know what you mean about "trades" sigh. If we can only have unlimited shopping funds! But! Yay! Glad to know I am not alone! There's plenty of us!